Functional and effective exercise in your fitness studio! With Redcord equipment you have access to a huge number of exercises and variable progressions. Strength, coordination, stability and balance in one piece of training equipment! Redcord is for everyone, regardless of your exercise level. Redcord sling exercise is used by fitness studios, top athletes, doctors, physiotherapists, personal trainers and others to enhance performance, to prevent injuries and to improve function after an injury. Sling exercise is an effective and unique way to exercise. Using your own body weight, individually adjusted exercises and the unsteadiness in the slings makes your stability core muscles exercise in a new and very effective way. 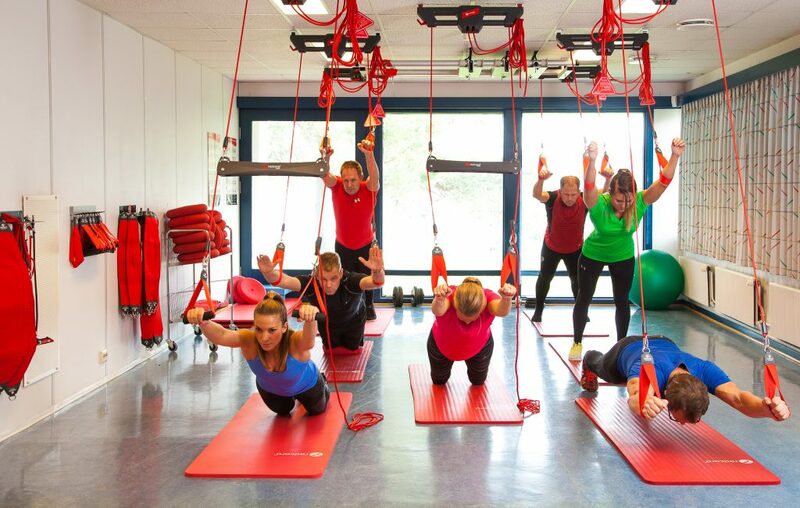 Why Redcord sling exercise at your fitness studio? Redcord sling exercise is an effective and unique way to exercise. Use your own body weight, individually adjusted exercises and the unsteadiness in the slings makes your stability core muscles exercise in a new and very effective way. Low risk of injuries and fantastic exercise possibilities! Sling exercise is perfect in small group training and can be used as performance enhancement and/or to treat injuries. Group training is effective and lucrative. Integrating Redcord as an outdoor exercise or BootCamp is an excellent idea. The slings are easy to take with you and they offer a number of options.